We had a fantastic turnout yesterday for the annual “spring clean” at Redeemer. The exterior and grounds of the church were freshened up and spruced up, beds were weeded, shrubs trimmed, and a vast quantity of pine needles was put on and around the beds. With all of the other work that has been done on the buildings and grounds this year, Redeemer is looking better than it has in a long time. In addition to the physical results of the clean-up, yesterday’s work also provided a great opportunity for fellowship and camaraderie, even in the midst of sweat and toil. It was a reminder of how closely knit we are as a faith community. We are all truly fortunate to be a part of this church family. Today, the first Sunday of Lent, we began a 6-week program in Adult Sunday School called, “The 5 Marks of Love.” Based on the Anglican Marks of Mission, this class will explore the ways in which the Divine Life expresses itself in and through us – individually, in our faith community, and in the world around us. To receive the daily video meditations that are an integral part of this class, go to www.ssje.org/5marksoflove/ and scroll down the page to enter your email address, name, and start date (use March 3, 2019, as the start date if you plan to attend the class, otherwise just enter the current date), and then click on “Submit”. While I’m on the topic of Sunday School, I want to give a shout out to our Sunday School teachers and planners over the past year. Our adult program began in the fall with a study of the book, “Toxic Charity,” led by Annette Burdette and Meg Coffey. Rick Hankinson then led an Advent course based on the book, “Dog in a Manger.” After Christmas, Margie Hankinson and Brendon Payne led classes on the Magi and the meaning of Epiphany. Betty Boesch then conducted a 3-part course based on the video series, “How Do I Know?” That brought us up to the current class. And all during the year, week after week, Lori Hawkins and our intrepid group of teachers taught Sunday School to our children and youth. This is just another example of how strong the Spirit is at Redeemer, moving with us and within us. Thank you all, Sunday School teachers and planners! The later service began with 30 minutes of carols and hand bell renderings of traditional Christmas music, and continued with the beautiful words of the Rite I liturgy. It was a moving service, and felt even mystical near the end as the lights dimmed for the singing of “Silent Night” by candlelight. For both services, the sanctuary was gorgeously decorated by our Flower Guild and Altar Guild. Many thanks to all those who gave of their time to prepare for the services and to help celebrate them. Merry Christmas, and best wishes to all for a happy and healthy New Year! What a busy Fall we have had at Redeemer! Since my last post below, we have enjoyed our first ever bicycle rodeo with hot dogs and Pink Mama’s Ice Cream truck, movie night at the Pumpkin Patch, the Blessing of the Animals, a highly successful ARCUM Pumpkin Patch that raised over $5,000 for Mother Teresa House, Samaritan House, and the Pleasant Valley Connection , and a Halloween Trunk or Treat that entertained well over 100 children from our neighborhood. Redeemer hosted a joint convocation of the Daughters of the King and the Episcopal Church Women of our Diocese. We are just coming to the conclusion of a thought provoking and well attended adult Sunday School discussion of the book, “Toxic Charity,” with visits from representatives of Mother Teresa House, Samaritan House, and the Pleasant Valley Connection that provided us more in-depth information about the great work those three organizations do. We are also just finishing a successful stewardship campaign. Throughout this time, we have continued our work on fixing up and sprucing up the buildings and grounds. The new rector search is in full swing. And today we had a special parish meeting to elect new Vestry members, at which Katie Broderick, Bill Heizer, Dinah Johnson, and Rebekah Webb were unanimously elected. Besides all this, every week – week after week – we have had beautiful and moving church services as a result of the dedication and hard work of our choir, altar guild, flower guild, greeters, ushers, vergers, lectors, acolytes, and counters. And Father Mark continues to be a true inspiration and blessing to us. For a church of our size, we have an amazing level of energy and spiritual vitality! What a great place this is, and what a great year we have had. We have now received the report of the congregational survey that we took in July. The first three marks all relate closely to Christian formation at the individual level. The final four marks relate more to structural issues that need to be in place before churches can really do a good job helping members grow as disciples. So … how did Redeemer do? The overall results were not terribly surprising to me, but there is a lot of depth to the report that calls for further thought and discussion. Keep in mind that the results are not a set of “grades” like students get in school. Also, because Redeemer was the first congregation in the country to take this survey, there is not a base of data with which we can compare ourselves to other congregations around the country. However, the sponsoring organization had done “beta-testing” with the survey questions, and I was able to compare our results with those tests. Overall, our results are strong, especially on the marks of caring relationships and ecclesial health. Our weakest mark is lifelong discipleship formation. Copies of the report will be in the Narthex and the Church office for you to pick up and review at your leisure. I think we can use the survey report as a springboard for discussion on where we need to focus our energy and efforts. I plan to have more to say about this in the next issue of Echoes, and hope we can talk about it in the weeks and months to come. As we come to summer’s end, I am pleased to report that it has been a very good one at Redeemer. Early in the summer we installed a Junior Daughters of the King chapter at Redeemer – the only one in South Carolina. Later in June we had our second “Summer of Service” – an innovative variation on Vacation Bible School, emphasizing service to the community – and it was a huge success. In mid-July, we enjoyed lemonade, cookies, and ice cream on the lawn. Last week, as children, parents, and educators were making ready for the new school year to begin, we had a blessing of student backpacks. Attendance is up, and our financial condition is strong. Most importantly, I think we can all tell from the joy and love we feel at worship on Sundays and Wednesdays that the Holy Spirit is at work with us and within us. I feel a deep, immense gratitude for all that we have at Redeemer. In the meantime, a lot of planning was going on behind the scenes for the fall. There is a lot coming up! Please browse through the calendar on this website to see what is ahead of us. I am especially excited about the adult Sunday School program for this fall. Rev. Deb Richardson-Moore, pastor and director of the Triune Mercy Center, will speak to us on September 16 about her experiences and insights from working with and helping the poor. Starting the following week, we will explore how we can most effectively deal with the fact of poverty in our community through a discussion of the book, Toxic Charity: How Churches and Charities Hurt Those They Help (And How To Reverse It). This is a particularly relevant topic to our church, as we have struggled with how we should respond to entreaties from the poor at our door. This will be a very interesting discussion – please join us if you can. I hope you have had a good summer, and am very excited about what is in store for our church in the coming months. Our new Rector search process is now underway with the appointment of an outstanding Search Committee – you can see who is on it by clicking on the tab labeled (you guessed it) “Rector Search Committee” in the box labeled (not quite so obvious) “Categories”. The Search Committee will be meeting with the Bishop’s representative on August 5 and will soon begin evaluating potential candidates. The Committee will be posting updates about its progress under menu heading, “News”, sub-page titled, “Updates from Rector Search Committee”. In the meantime, a lot of planning is underway for the fall. As one part of the planning, I have asked Betty Boesch, Rick Hankinson, and Tom Oliver to think about how we can rejuvenate and re-energize our adult Sunday School. Redeemer already has a small but very active Bible study program in the form of the Men’s Bible Study Group, the Women’s Bible Study Group, and the Wednesday 10:30 service, which effectively includes a Bible study discussion in the service. So we are looking at an approach to adult Sunday School that will complement, rather than duplicate, what we already have. Betty, Rick, Tom and I met with Father Mark to talk about this on July 11, and we will be getting together again on July 22. If you have any thoughts or suggestions, or would like to participate in our discussion, please let me know – we would love to have your input. I am very pleased to announce that the Vestry has engaged Rev. Mark Moline to serve as a long-term supply priest at Redeemer, to be our interim priest until we call a new Rector. Many of you have already met Father Moline or heard him preach at the last several Sunday services, one of the recent Wednesday services, or at Gene Cornett’s funeral yesterday. He has a warm and engaging personality that we feel is a good fit for our loving and welcoming atmosphere at Redeemer. Father Moline will officiate the services on Wednesdays and Sundays; he will have office hours of 9:00 to 3:00 on Wednesdays (except during the 10:30 service) and by appointment; and he will be available for counseling and pastoral care whenever needed. Please take a moment to welcome him to our church if you have an opportunity. Here we are, at the start of a new road. We cannot see where it will lead, but we will follow as best we can the path that God has laid out for us. We gave Father Scott and Jane a great send-off, and now we have begun the process of discernment by which, with God’s Help, we will find and call our next Rector. The Vestry is currently in the process of putting together a Search Committee. A critically important part of this stage of the journey is the Vestry’s “charge” to the Committee.  The charge is the vehicle which the Vestry gives the Search Committee direction as to the gifts and skills that we believe we need in a new Rector at this time in the life of our parish. I am sure that you all have thoughts and opinions on this, and the Vestry would love to hear them. There will also be a more formal survey of the congregation that will be taken as an early part of the search process. We will keep you posted on our progress through this page on our website, as well as the weekly email newsletter and the monthly Echoes.